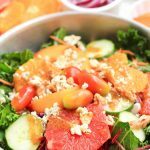 What’s your favorite dressing for salads? 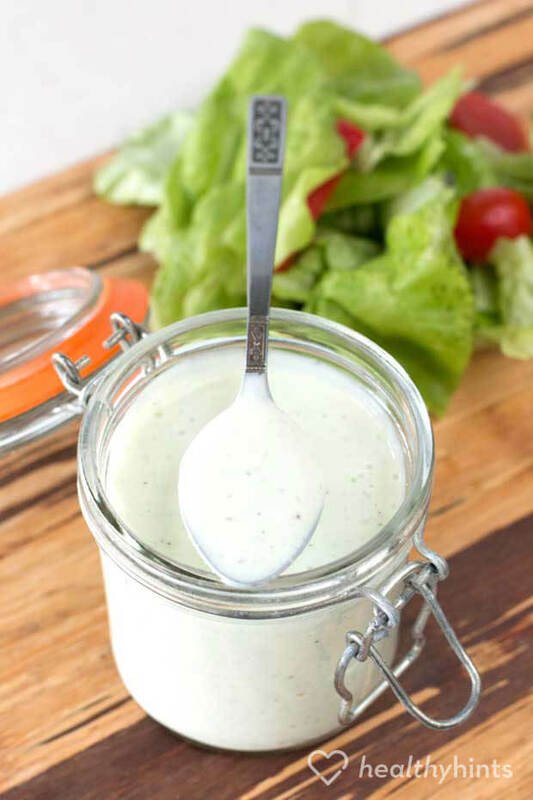 Growing up with a family that was big into Ranch dressing, for me, it’s all about that creamy, flavorful dressing when it comes to salads, and even sandwiches and dips. When I hated vegetables, I used to drown everything in a sea of Ranch dressing. I know it’s terrible to admit, but I hated vegetables for a very long time until I actually learned how to cook. Even to this day, having a crudité platter without the presence of Ranch dressing is something that I simply can’t handle. Another thing I can’t handle is all the calories traditional, full-fat Ranch dressing brings to the party. I long for the days of a high metabolism and never having to worry much about what I ate. 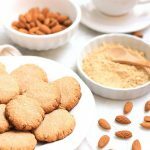 Unfortunately, that brief period of time only exists in childhood and is quickly swept away once you get into college and experience the lovely “freshman fifteen” gain so many of us go through. I’ve been able to adjust my eating habits but the one thing I have a hard time giving up is Ranch dressing. The flavors and creaminess make every salad heavenly. How can I cut such a glorious condiment out of my life? 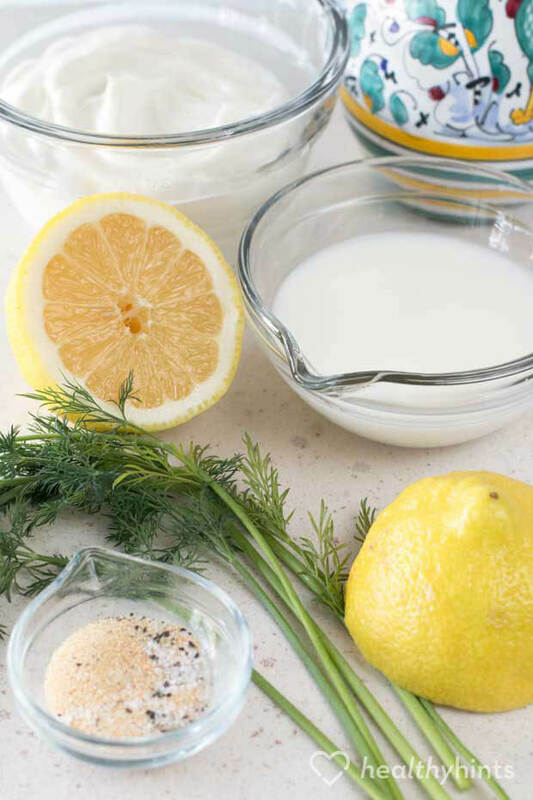 Enter this healthy ranch dressing recipe. Finding healthy workarounds for the foods I love is a daily exercise. 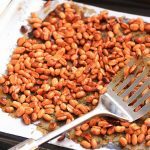 Being a food-obsessed food blogger, it’s tough to find healthy recipe options that are just as flavorful as their original, fatty counterparts. Usually you end up with something that vaguely reminds you of the original, but never truly satisfies the unhealthy craving you had in the first place. 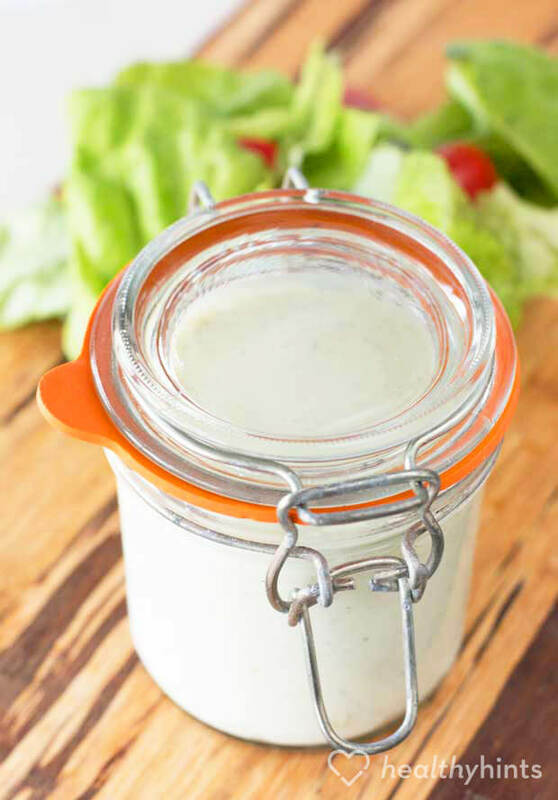 I am beyond thrilled to tell you that this recipe is one of those diamond-in-the-rough recipes that brings all the flavors you love about Ranch dressing in a healthy, easy-to-make package. I have a secret confession. I actually like this Ranch dressing recipe more than I like traditional Ranch dressing now. 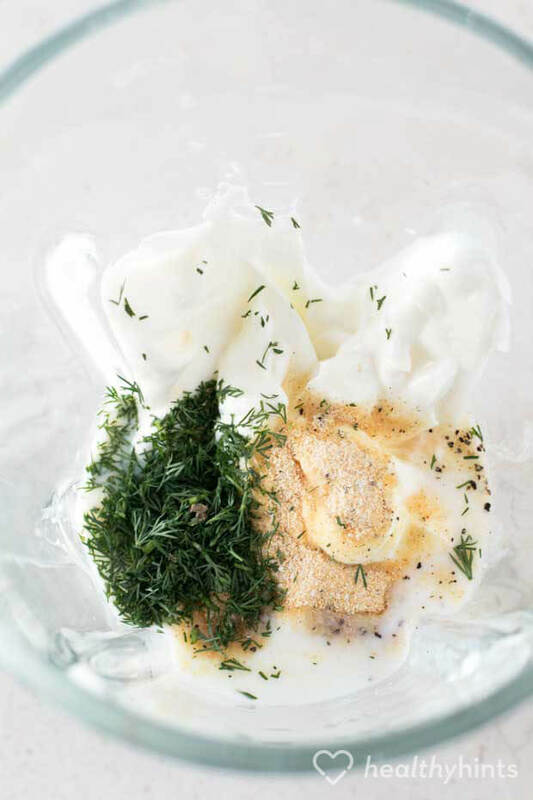 The tanginess of the Greek yogurt brings an added layer of depth to the flavor and really makes vegetables sing. However, don’t feel like you’re limited to only using this dressing on salads or with crudité platters! You can spread it on a chicken club sandwich, dip your baked fries in it, or even use it in other recipes that call for Ranch dressing to cut some calories out. With a recipe as easy as throwing everything in a blender and pressing the ON button, there’s no reason not to have this dressing in your refrigerator at all times. Combine all ingredients in a blender or food processor, and blend until smooth and well-combined. Use on your favorite salad, as a spread for sandwiches, or as a dip for veggies!